FACT SHEET:When is a Low Window Cleaning Price too Low? As you know there is no magic in business, a window cleaning contractor can only reduce prices so far before they have to cut corners somewhere. How are some window cleaning companies able to work so much cheaper than others? We’ve found two main ways some window cleaning companies are able to work cheap. Some window cleaning companies, even some national window cleaning franchisees pay their employees a straight percentage of a job, with no floor! For example they could pay the employee 37.00 to clean the windows on a $125.00 job no matter if it takes three hours or eight hours. This unfairly passes the risk of loss to the employee while guaranteeing the company a profit regardless of how low they price a job. They often don’t pay their window cleaners for time spent between jobs, time spent waiting for access to windows, and time spent maintaining their supplies & equipment, time spent in company meetings or time spent driving from job to job.. Further depressing their actual hourly rate. They may not provide basic employee benefits such as; holiday pay, paid vacation, medical coverage, or any employee benefits. They may make the window cleaners buy their own tools and supplies, some even charge their window cleaners for using a company vehicle to drive from job to job, and/or not reimburse employees for using their own vehicles. When all the time is counted; from leaving the shop to getting back to the shop, their pay may even be below minimum wage. Another all too common scenario with low price window cleaning companies is to take unfair advantage of their window cleaners by shifting most, or even all, of the costs & risks of business to them by miss-classifying them as “Sub-contractors” instead of as Employees. Once again, it’s not just the small window cleaning companies that have done this, we’ve noticed national window cleaning franchisees advertising for employees and telling right in the ad they will be paid as subcontractors. Often in such cases the employees are not fully aware of all the costs & responsibilities they can incur, and the risks they may unknowingly assume. It’s our opinion that this practice may at best be unethical and in many cases illegal. We’ve even found cases of layered subcontracting (where the primary window cleaning company, sub-contracts to another, who then sub contracts to yet another, etc. ), and situations where while the entities quoting the work may be properly covered by Worker’s Compensation and Liability insurance; they then call their employees “subcontractors”. Miss-classified window cleaners may not have any insurance coverages whatsoever; leaving themselves and YOU exposed to a huge potential liability situation. Bottom Line: if they work cheap then their employees must work cheap too. Trustworthy, honest people with clean backgrounds and without criminal records; people that you can trust to be in every area and office of your buildings don’t have to work cheap. Reputable people generally won’t work long for a window cleaning company that takes advantage of their employees. This information includes some material from www.ChoosingAWindowCleaner.com and is used with permission. “An employee is generally subject to the business’s instructions about when, where, and how to work. All of the following are examples of types of instructions about how to do work. © Great Lakes Window Cleaning, Inc. and GreatLakes-Window-Cleaning.com, 2014, 2015. Unauthorized use and/or duplication of this material without express and written permission from this site’s author and/or owner is strictly prohibited. Excerpts and links may be used, provided that full and clear credit is given to Steven L. Miller and GreatLakes-Window-Cleaning.com with appropriate and specific direction to the original content. 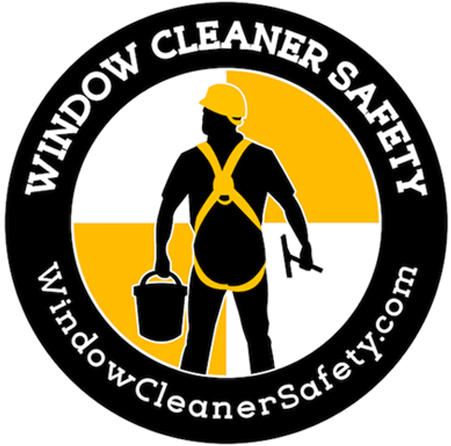 ← How Often Should Commercial Windows Be Cleaned?